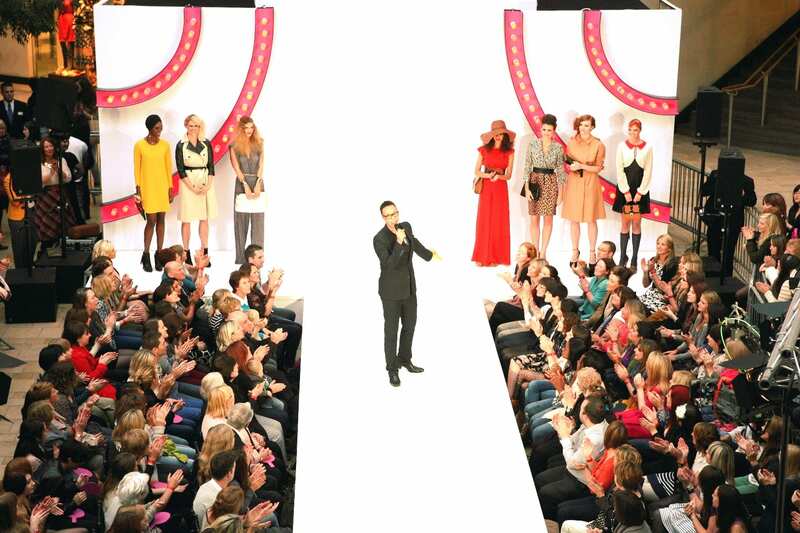 A few weeks ago, I was invited to be in the audience for Gok’s Clothes Roadshow in Bristol. 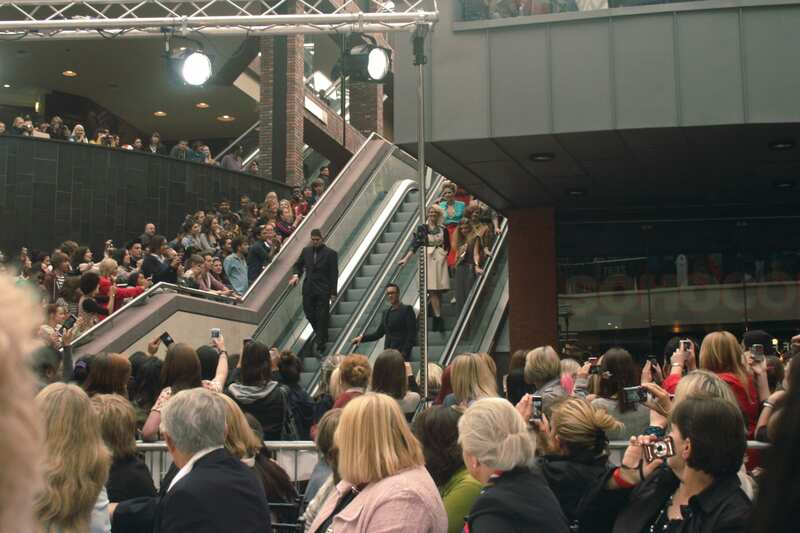 Cabot Circus had been taken over by crowds of people just wanting to see Gok – as you can see in the pic below! Gok came on stage and explained what was going to happen, then allowed some time to let people take photos so they wouldn’t take them during the show. He kept walking down the stage and stopping every few steps to smile for pics! First, three ladies from the Bristol area were given a makeover earlier in the week, and it was time for them to reveal their new look. 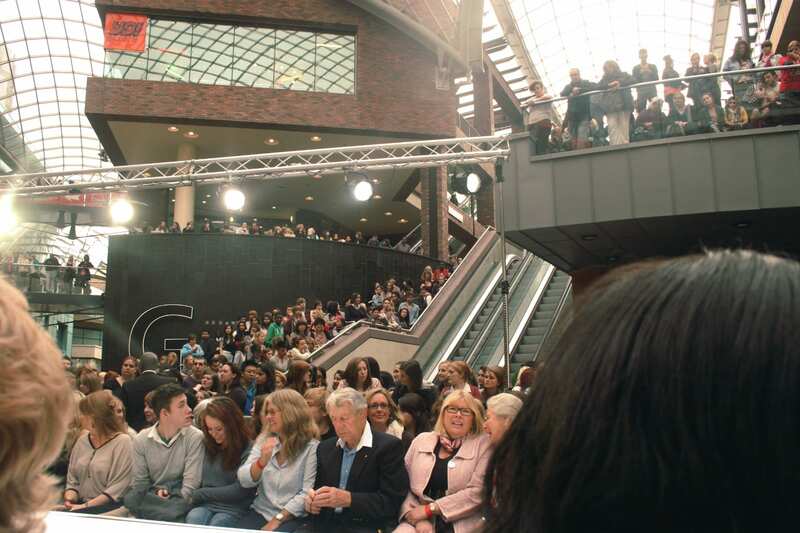 The audience was made up mostly of their friends and family (and a few bloggers like the ladies from MyStreetChic, Frances from Fashion Fantasist and SJP of Ship Shape and Bristol Fashion (who I’ve been dying to meet for ages, but we always seemed to miss each other!). We didn’t see their original looks, but from the reactions of those who knew the ladies, it must have been impressive! 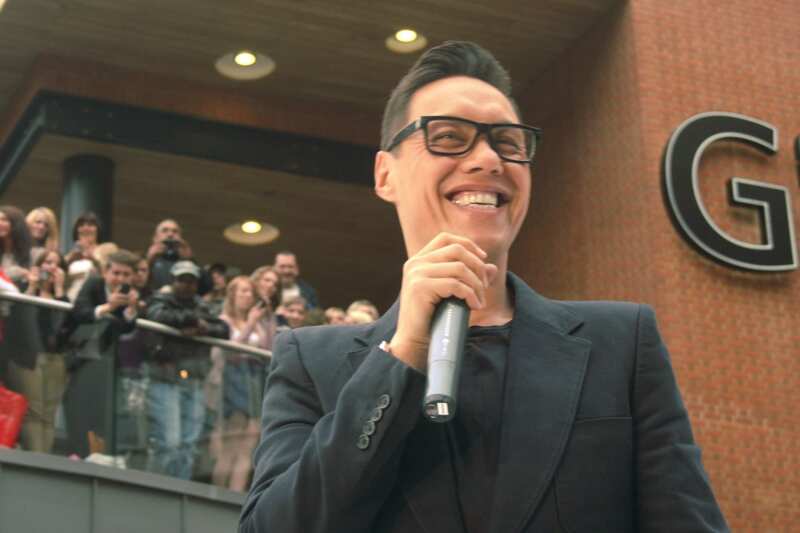 The Bristol episode of Gok’s Clothes Roadshow will be shown tomorrow night (Tuesday 4th October) and (hopefully, I assume this link will work!) you can find out where the clothes in the show are from here, after the show has aired. Oh wow that would have been fab to see! Is Brix not in it at all now? I never knew she used to be a singer lol…! The women who had makeovers look great too, will have to catch a repeat of the show to see what they looked like before, and spot you in the audience! My girlfriend has taken a shine to the high street Mac featured on Oct 4th and it is her birthday soon so I wanted to try and track one down. Has anybody managed to find one?The website shows the supplier as topshop but I can not see the Mac on the website. I’ve found the webpage for the Topshop trench with the leather look sleeves – Topshop Trench Coat – unfortunately its sold out at the moment, but the item code is there so you may get lucky with calling your local branches or it may come back into stock on the website.